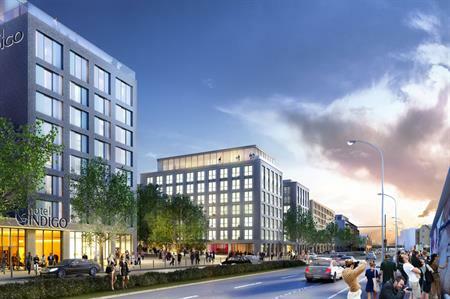 IHG has announced plans to open its third Hotel Indigo-branded property in Berlin opposite the city's Mercedes-Benz Arena. The new-build hotel will have 119 rooms, a gym, restaurant and rooftop bar with an outdoor terrace. It will be within walking distance of Berlin’s Warschauer Strasse and Ostbahnhof train stations. It is slated to open during the autumn of 2017. Hotel Indigo Berlin City - East Side, will be part of Mercedes Platz, a complex located opposite the Mercedes-Benz Arena, formerly O2 World. Mercedes Platz will feature numerous restaurants and bars, a 4,000-capacity event hall and a state-of-the art movie theatre. The complex is planned to open in 2018.